www.r2iclubforums.com survey about Single-most Important Reason which motivates us to Return to India. Today I just come across about Returning to India wow man lot’s people share their true feeling over web it wonderful resource… if any one of you indent to Return to India you may browse through below website and collect info tod avoid lot of issue and you can make better plan. There are various issues like finance and investments, job search, finding a good school for kids, find a good house or apartment to settle down. Few plan to return to the same city where they were born and have relatives and friends; some return to another city where the job opportunities are plenty. Some return for reasons of past and some for the reasons of future ! Building social network in this new city is a key for the second group of people. There are several things we need to unlearn and learn again to go back and live in our home country. This may seem strange but there is no escape. We should get ready for reverse culture shock. Unlearning few things will go long way in making the transition smoother. All is not easy or done after return. We might have left behind our retirement plan funds, taxable mutual funds, bank accounts. Some of us have to file taxes in more than one countries, manage accounts abroad. How much is required ? How to file taxes after return ? How do we manage the money ? How do we ship goods ? What container ? What to carry back with us ? Don't worry we have answers for all these questions. Not one answer, but plenty of answers, yes, all from those who has done it in real life. Today I was browsing through some few blogs find interesting article about Rich Dad Poor Dad By Robert T Kiyosaki. Hope you will find below summary of the book and start explore on this. "Know the difference between assets and liabilities"; "Buy Assets"
"Rich people acquire assets; The poor and middle class acquire liabilities, but they think they are assets." This is really all you need to know. If you want to be rich, simply spend your life buying assets. If you want to be poor or middle class, spend your life buying liabilities. Robert T. Kiyosaki, Rich Dad, Poor Dad says, 3 type of Income they are Earned income ("work for owner"), Passive income, and portfolio income. In the bottom of the income statement are taxes ("work for government"), ownership-related expenses, and other expenses. Subsequent diagrams expand on portfolio income (dividends, interest, rental income, royalties), ownership-related expenses (mortgage payments, real property taxes, insurance, maintenance, utilities), and other expenses (fixed expenses, food, clothing, fun). In the left side of the balance sheet are assets which create income--your business, stocks, bonds, mutual funds, income-generating real estate, notes, and intellectual property. In the right side of the balance sheet are liabilities ("work for bank") which create expenses--consumer loans, credit cards, and mortgages. Poor Dad says, "Go to school, get good grades, and find a safe secure job." In other words, concentrate on earned income in the top of the income sheet. Rich Dad says, "The rich don't work for money, they have their money work for them." In other words, concentrate on passive and portfolio income in the top of the income sheet--with passive income being faster. In the bottom of the income sheet, the government taxes earned income the most, and passive income the least. Poor Dad: "The love of money is the root of all evil." Rich Dad: " The lack of money is the root of the evil." Poor Dad: "Study hard so you can find a good company to work for." Rich Dad: " Study hard so you can find a good company to BUY." Poor Dad: "The reason I'm not rich is because I have you kids." Rich Dad: " The reason I MUST BE rich is because I have you kids." Poor Dad: "When it comes to money don't take risks." Rich Dad: "Learn to manage risks." Poor Dad: "Work for benefits." Rich Dad: "Be totally self reliant financially." Poor Dad: "Write a good resume to find a good job." Rich Dad: "Write a strong business and financial plan to create a good company." DAEMON Tools is an advanced application for CD/DVD discs emulation. This program allows running Backup Copies of your CD/DVD images. DAEMON Tools needs a 1:1 Copy to run!! Recently I recommended VMware Infrastructure to one our client which uses virtualization technology to deliver transformative capital and operating cost savings as well as increased operational efficiency, flexibility and IT service levels. The given below architecture provide you overview of VMware Infrastructure enterprise edition. VMware ESX Server is the foundation for the dynamic, self-optimizing, robust, production proven virtualization layer that abstracts processor, memory, storage and networking resources into multiple virtual machines. ESX Server increases hardware utilization and dramatically decreases capital and operating cost by sharing hardware resources across a large number of virtual machines. The Visual Studio 2008 and .NET Framework 3.5 Training Kit includes presentations, hands-on labs, and demos. 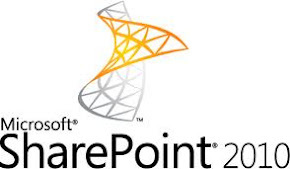 This content is designed to help you learn how to utilize the Visual Studio 2008 features and a variety of framework technologies including: LINQ, C# 3.0, Visual Basic 9, WCF, WF, WPF, ASP.NET AJAX, VSTO, CardSpace, SilverLight, Mobile and Application Lifecycle Management. Download it.